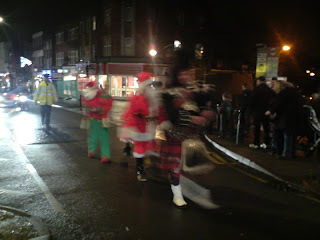 On camera anyway... slightly blurred but the Christmas parade stops for no man. A Highland Piper piping Santa past KFC? Only in Worcester Park!